Citrine is a member of the Quartz family and is a silicon dioxide mineral. Its color is clear/translucent with hues ranging from pale yellow to amber and orange, and can sometimes have slight brown shades as well. It gets its yellow hues from the amount of iron within it, which is also where it gets it name - derived from the French word “citron” which means lemon. 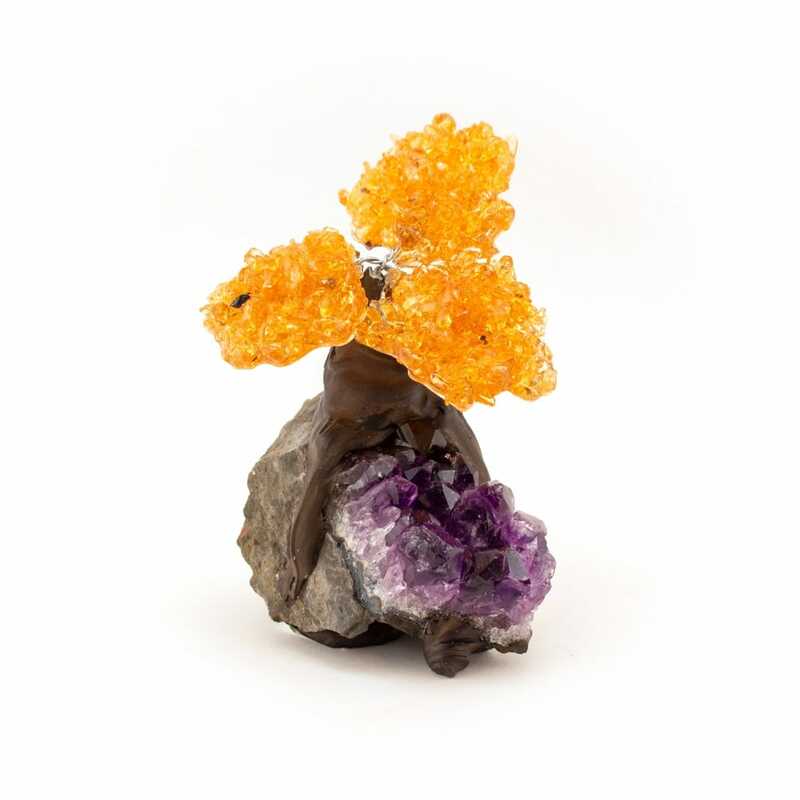 A large amount of Citrine on the market is actually heat treated Amethyst, while natural pieces are noticeably closer to a pale yellow in color. This stone is known to fade in direct sunlight. It is generally found in Africa, Brazil, Madagascar, France, Russia, Spain, Scotland, and USA. Citrine is one of the essential stones of the sacral chakra, making it a staple for creativity and manifestation. This resonance with the sacral chakra allows one to awaken their abilities of creative imagination. Citrine’s energy flows into the body directly from the sacral chakra and spreads into the root and solar plexus, allowing all three to radiate with solar light. This flow of energy greatly enhances one’s powers of will and manifestation, aiding one in bringing their imagination forward and fusing it with one’s will. Once one tunes into their imagination in this manner, they can turn towards the future. Citrine pushes us to imagine all that can be rather than becoming stuck in the past, and what has been. The emphasis on imagination with Citrine is important because this is the first step to creation and manifestation. One must imagine something before it can even become a part of your thoughts, which can then become a part of one’s actions. Citrine is the perfect aid for this process as it awakens the creative energy needed to imagine things in the first place. The way in which it resonates with the second chakra (the sexual energy center) allows one to conceive imaginative potentials through creative function. It works through the third eye to enhance mental clarity and begin the thinking process. This also assists with visualization in which one can see images appear in their mind, giving a framework of what will be manifested. 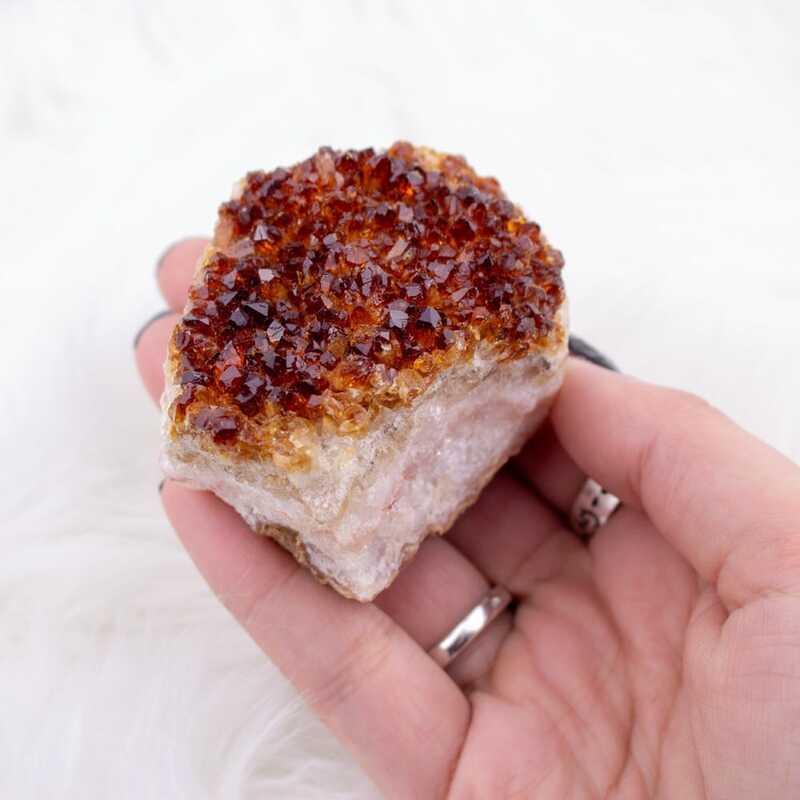 With its connection to the solar plexus, Citrine builds up the personal will and energy needed to manifest one’s ideas into reality through physical work and persistence. Without the solar plexus aspect, many great ideas can easily stay stagnant and remain in the mind or in the first stages of development. Citrine quite literally opens these three chakras like portals that work together to summon all of the essential aspects needed for creative manifestation. Citrine has a radiant vibration that brings warmth and joy to all who are around it. It is able to transmute energy from negative to positive and is one of the few stones that never needs cleansing (although it can be cleared or “reset” as one hones in on newer creations/goals). Its transmutational ability also allows one to maintain balance in their Yin and Yang aspects by transmuting any excess of either Yin or Yang energy into its opposite. This can also be used externally in crystal healing. Citrine has been widely used as a stone of survival, not only because of its transmutational properties, but also because of the way in which it ignites the lower chakras and enhances the physical body. In dire situations it can also help one to quickly think of creative solutions and immediately apply them(thanks to the fiery connection it forms between the third eye, sacral, and solar plexus chakras). Throughout time Citrine has been called the Merchant’s stone as it is of great aid in acquiring and maintaining wealth (especially in its most yellow forms). Merchant’s would store the stone within their vault in order to protect and draw in more financial wealth, and carry it to increase success in all things. It is recommended to wear/carry or leave this stone in one’s wallet (or any place in which one’s money is stored to attract these effects of abundance and prosperity). The sunny energies of this stone play a large role in this and will also encourage generosity and sharing, similarly to how the Sun shares its abundant rays with Earth. When worn at night it also has the ability to remove fear, prevent nightmares, and ensure a good night’s sleep. Physically, Citrine increases stamina and energy levels, aiding in maintaining a proper metabolism. It also provides excellent support for blood circulation, the endocrine system, thyroid, and thalamus. It aids with any digestive disorders, degeneration, and growths. On an emotional level, this stone helps one to overcome feelings of doubt and being undeserving of abundance. Citrine is able to soothe whole households and generates a protective shield that protects from spite and jealousy. 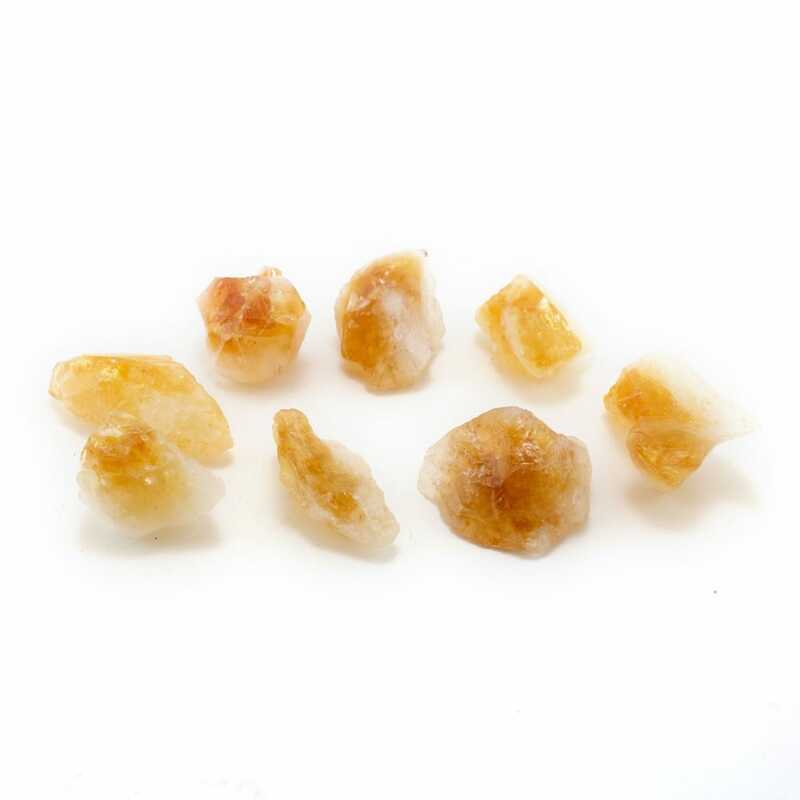 Citrine works well with most stones and helps to multiply their energies. 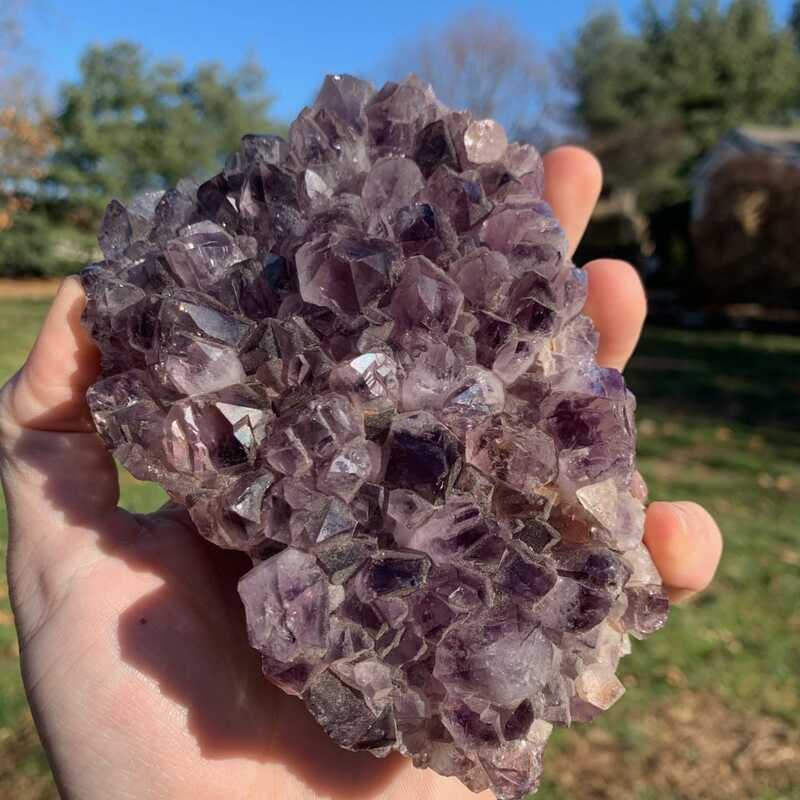 Combined with Amethyst it helps to draw in more spiritual energy, enhances visionary experiences, increases protection, and further aids in the elimination of insomnia and nightmares. Carnelian will greatly increase Citrine’s emphasis on the imagination and creative functions, as well as provide further fortification to one’s physical body. Crocoite also provides an incredible boost to creativity and sexuality.